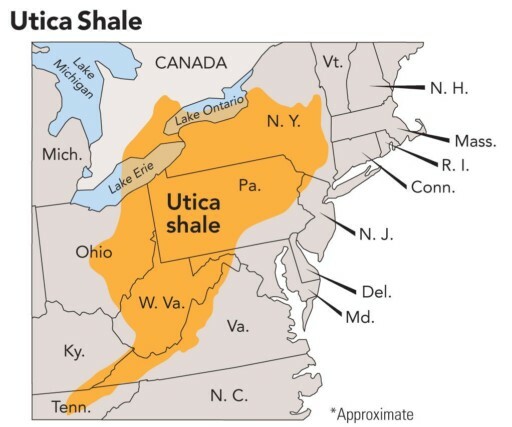 The Rise of the Utica Shale in Pennsylvania! Is It the Future? Great news! More gas companies are drilling for Utica shale gas in Pennsylvania and the Utica is even bigger than the Marcellus with huge future potential. The Utica Shale is beginning to get noticed in southwestern Pennsylvania. The rise of the Utica can be traced back to a single well drilled by CNX Resources in 2015. That first well, the Gaut well, became the second-highest producing Utica well anywhere at the time–61 million cubic feet per day (MMcf/d). Since 2015, CNX has pioneered drilling Utica wells in Southwest Pennsylvania (SWPA). And 2019 may be the year the Utica soars in Pennsylvania. Other companies besides CNX drill in the PA Utica, including Huntley & Huntley, Chevron, XTO Energy. But the story of the Utica in SWPA is mainly the story of CNX. An extensive article appearing in the Pittsburgh Business Times tells that story. In the early days of the Marcellus Shale boom, as gas companies decided where to drill, a section east of Pittsburgh in and around Westmoreland County took a back seat. The gas, in the deep, dry Utica Shale thousands of feet underground, was tougher to access than the shallower Marcellus. It was millions of dollars more expensive to drill than the most efficient Marcellus wells. And no one knew how productive the wells could be. Meanwhile, the Marcellus captured all of the headlines and a lot of the investment. But over the past few years, drilling by several companies — most notably Canonsburg-based CNX Resources Corp. but also Huntley & Huntley Energy Exploration, Chevron Appalachia LLC and XTO Energy Inc. — has started to prove there are opportunities in the deep Utica and other shale layers like the Point Pleasant and the Trenton Limestone, often below the Marcellus that has already been tapped. The handful of wells that have been drilled in that area around Westmoreland County, along with an anticipated boost in permit applications in the Utica, are raising that part of the play’s profile. “It will be a very important year to see how far the Utica has come along,” said Sameer Panjwani, a director at Tudor, Pickering, Holt & Co., an energy-focused investment bank based in Houston. When it comes to the deep Utica in Westmoreland and surrounding counties, there’s no natural gas driller that has spent more — and proved more — than CNX, a Southpointe-based natural gas company that spun off its Consol Energy coal operations in 2017. “Really, it’s being pioneered by CNX,” said Welles Fitzpatrick, an analyst with SunTrust Robinson Humphrey, the investment banking arm of SunTrust Banks Inc. The first big well for CNX was the Gaut, located in Westmoreland County and turned on line on Oct. 3, 2015. It quickly became the second-best producing Utica well at the time, with 61 million cubic feet of natural gas flowing per day. That’s significantly above the average Marcellus well. It was followed two years later by nearby wells Aikens 5J and Aikens 5M, which have showed the Gaut wasn’t a fluke. But it almost was: Few people outside of CNX thought the Gaut would be successful. That it was — and was repeatable — convinced other drillers that there was opportunity in that overlooked area. “The extension of the Utica by CNX with the drilling of the Gaut well was a game changer, certainly for us, but for the industry as well,” said Christopher Doyle, CEO of Southpointe-based Huntley & Huntley Energy Exploration, a privately held company also known as HHEX that has about 100,000 contiguous acres in the Marcellus, Utica and Upper Devonian, mainly in Allegheny and Westmoreland counties. Why has CNX been so successful? Part of it comes from the intense data analytics that CNX does. And, said Andrea Passman, SVP of engineering and operations for the Southpointe-based driller, it’s an understanding that while they may be neighbors, there’s a vast difference between the structure of the Marcellus and that of the Utica. “The Utica takes more science ahead of time, which is a big difference between the two plays,” Passman said. But crack the code of the more structurally complex Utica and you will be rewarded with a deep reservoir of high-pressure gas that has well above a 60 percent rate of return per well. According to a CNX presentation, in the same region, the Utica wells hold an expected amount of 3.5 billion cubic feet per 1,000 feet, up from between 1.5 billion cubic feet and 1.8 billion cubic feet for the Marcellus in the same region. It has taken a while for companies to understand their holdings in the deep Utica, particularly outside the core areas of Greene and Washington counties. It has also been a challenge to learn to drill cost-effectively, operators say. Gaut’s horizontal lateral was 5,840 feet, relatively small for today’s drilling, but it cost $27 million. That compares to under $10 million for a typical Marcellus well. Fitzpatrick believes the keys are understanding the asset and then making sure the costs keep going down. Doyle said drillers need to know not only whether the deep Utica wells are successful, but also that success is repeatable and, over time, less expensive. What are the keys to success and the outlook for the Utica? For that, you need to read the whole story. It requires a PBT subscription, which we highly recommend. Editor’s Note: While Jim’s focus here is Southwest Pennsylvania and the highly encouraging news from CNX, we remind our readers that Shell has also been drilling successful Utica shale wells in the Northern Tier, right on the New York border. The Utica is big and it’s real. It underlies most of the Marcellus and also extends into parts of Canada. It’s the next big thing. For more great articles on natural gas development every single business day, subscribe to Marcellus Drilling News using this convenient link. When will someone drill next door to Jim Willis, so Jim can have the full gas development experience? 27 million to develop a gas well as compared to under 10 million….! And you’re imagining this will be a profitable venture..?! You are even more of a fantasy man than Tom. 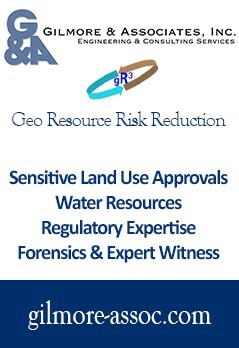 How about I’ve been told it’s 5 to 7 million to develop a gas well in Marcellus…! Drilling the Utica using existing Marcellus pads can help cut the cost. I hope they drill the Utica from the existing pad RIGHT NEXT TO MY HOUSE !!! Probably best if Scoggins stays within her wheelhouse – generally vituperative nonsense for publicity. Drilling economics is not only none of her business, but way above her comprehension. That statement of mine is based upon noticing how she tries to vex Tom with now years of obnoxious and totally non-productive commentary, just like all the other ill-informed or libelous blowhards (Ruffalo, Ingratta, etc) that really are simple time wasters. Just my opinion. As to the Utica, the potential is what we call a “game-changer” due to the size of the basin and a gift that will be giving long after we all are gone. There are other basins waiting to crack, that could also have an equal amount of potential, like the Monterey in CA, which could hold an easy 400 BBls. BTW, maybe Jim would like a well in his backyard as with the IPs of these wells, and a normal royalty, he would make millions of dollars just by leasing. Wait a sec: is Vera an engineer or geologist qualified to make comments on the technologies and costs of drilling, or is she a lawyer qualified to make comments on pending court cases? Or does she have any qualifications as far as environmental science, since she blathers on so about what the DEC did or didn’t do? Maybe she’s qualified in all that stuff. I’ll be happy to have someone drill next door to me. Me, too. I already have a major pipeline 1/4 mile away, which is completely unobtrusive. Horses graze on it and there are new houses built immediately adjacent to it. In fact goes through the middle of our county fairgrounds and we usually end up parking on top of it when we go to the fair. There’s new major commercial business going next to it over the hill and, in between, there’s a summer youth camp.